ONE OWNER!! 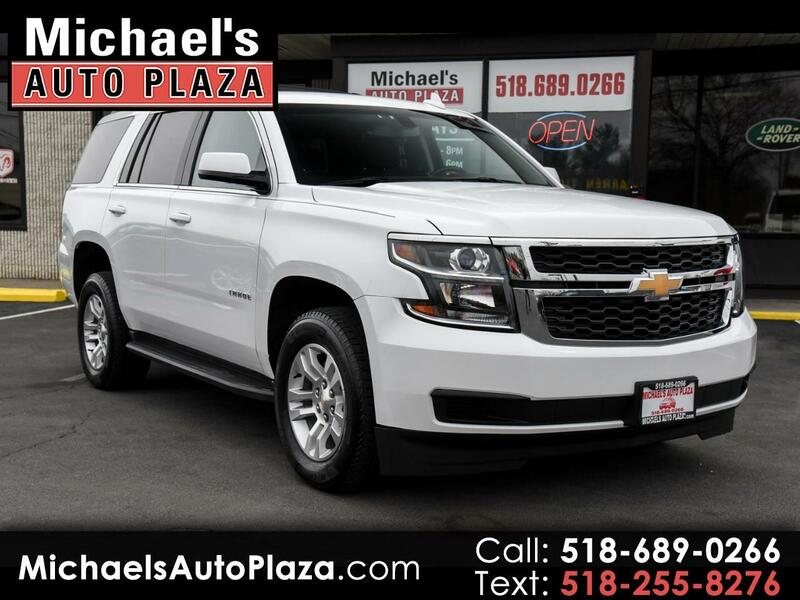 Do not miss out on this 2017 Chevrolet Tahoe LS 4x4. White with Gray Interior. Special Features Like 3RD ROW SEAT, REMOTE STARTER AND SATELLITE RADIO!! Also Includes CD Player, Power Seats, Security System, Power Steering, Running Boards, Alloy Wheels, Keyless Entry, Multi Zone Climate Control, Power Locks And Windows, Rear Window Defroster, Parking Distance Control, Anti Lock Brakes, Cruise Control, Power Mirrors, Steering Wheel Control, and Airbags.